Kane and Rinse kovers the early years of one of videogames’ more kontroversial koncepts, Midway’s Mortal Kombat. From the ropy blue-skreen of the 1992 original to the konklusion of the truly 2D years with Mortal Kombat Trilogy on PS1, Saturn and N64, along with our kommunity kontributors we konsider kharakters, mekhaniks and kontrols. Your kongregation konsists of Leon, Sean and Carl. Cane and Rinse 286 was edited by Sean O'Brien. I have to say I enjoyed 'Carl'. Maybe the lack of interest in MK3 was due to the success of 3D fighters that emerged after MK2 (Virtua Fighter and Tekken for example) more than MK3 being a disappointing game. 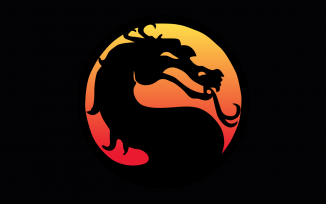 The addition of run and combos really improved MK and made the 3rd game fantastic in my opinion, also the added characters and secret codes really gave the game some variety.